Parkside Chat will be comimg soon. Also we will be hosting a neighborhood discussion board. Stay Tuned for updates from our blog. Also Coming parkside 3d Gallery. For Administrators. -- Administrator file server for file sharing. Information on Hiring and News for a 52-unit affordable, rental development plus 4 commercial spaces in the vicinity of 52nd Street & Parkside Avenue. The project includes a new 30-unit apartment building with one commercial unit, a new mixed-use building with two commercial units, the renovation of the former Parkside Inn with commercial and residential units, and the construction or rehabilitation of 13 additional houses in the area. Community Ventures will also renovate two existing community parks 1) the Community Garden along the 5200 block of Parkside Ave and 2) the park on the corner of 52nd & Columbia Ave.
WANT TO WORK ON THE JOB DURING CONSTRUCTION? 1 . A Pre-Apprenticeship Training Program – For anyone interested in taking classes to prepare for the various Building Trade Unions Apprenticeship tests. Instruction and training are being provided by African-American Builders & Associates LLC. 2. Subcontracting Opportunities – For any interested sub-contractor. Link includes access to construction documents and instructions on how to contact Allied Construction. Residents are updated about the community and share information about what is going on in the neighborhood and other concerns. Residents are kept abreast of what is happening in the community and how it affects the community at large. Board members have monthly meetings to plan and/or decide on various issues as related to the West Parkside community, training is also available for Board members. Has a job bank where residents can come and learn soft skills, resume writing, computer skills, e-mail creation, obtain assistance in filling out online applications and job placement assistance. Over the years Parkside Association of Philadelphia has partnered with Millennium Baptist Church to provide a summer day camp at low cost for families who otherwise, because of costs associated to enrolling in summer camp, might not be able to attend summer camp. Partners with Resources for Human Development to provide worksites for youth to work during the summer months. Parkside has a comprehensive referral system for housing issues, emergency housing, and counseling services. Partners with The Other Carpenter to provide low to moderate income home owner’s basic home repairs for a nominal fee. Continues to re-develop houses in the community to sell to qualified community residents. Assists in identifying resources available (City services, etc.) to constituents and development and execution of related communication processes. Supports constituent’s efforts in identifying and obtaining employment and training opportunities. Provides duplication and faxing services for constituents. Parkside Association of Philadelphia, Inc, was established on June 1, 1977 to provide community based planning for the West Parkside Community. Parkside Association of Philadelphia incorporated on December 30, 1977 and has been in operation for 33 years and continues to be a dynamic force in and for the community. In 1977 the City of Philadelphia proposed to construct a parking lot for what was then called the Dell East in Fairmount Park. This was directly across from the residential 5100 hundred block of Parkside Avenue. Lucinda Hudson, then 28 year old mother of two sons, led a protest to stop the construction of that parking lot. PAP was born out of that protest which was viewed by the residents as a negative externality on their community. The momentum spurred further community organizing, participation, development planning efforts, and the subsequent appointment of block captains that would eventually become the Board of Directors of PAP. Ella D. Francis was elected as PAP first president and served in that capacity until October 1997, when Lucinda Hudson was elected and has been the president until present day. In 1978, West Parkside was given neighborhood status, and the Philadelphia Planning Commission put together the “West Parkside Strategy Plan”, a comprehensive plan directed at improving the neighborhood’s housing stock, site improvements to facilitate pedestrian travel, and improvements in bus service. Recognition of the significance and potential for revitalization of commercial properties in the context of community development led to the cultivation of linkage relationships and other collaborative efforts. The results were a planned community development project/strategy for the neighborhood aimed at bringing about the economic, social, and physical revitalization of the West Parkside Neighborhood. These many projects ranged from job creation, job training, and child care, referral services for housing, housing development and assistance with energy issues. One of PAP’s major collaborative efforts was bringing Control Data to West Parkside in order to establish a small business incubator in what is now the Business and Technology Center. PAP has demonstrated experience in community development evidenced through its successful rehabilitation of 19 houses producing 26 units of living. Subsequently, the rehabilitation of these buildings has created much needed affordable housing stock for community residents, and restored aesthetic appeal to Parkside’s external façade abutting Fairmount Park contributing to the greater marketability of the community. 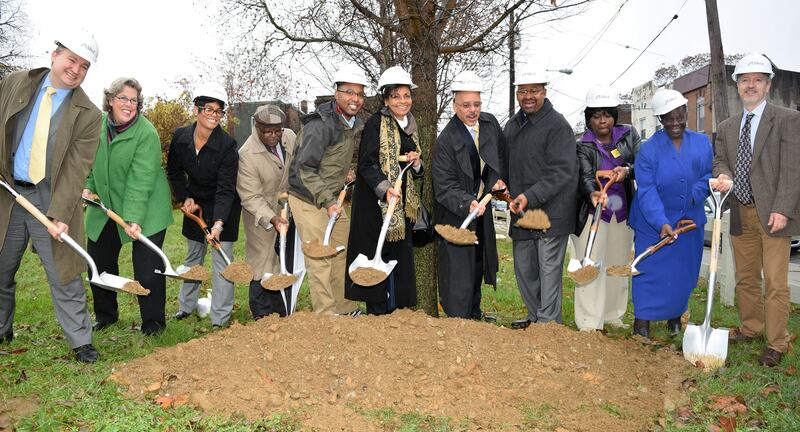 PAP’s community advocacy has been very instrumental in many important projects coming to West Parkside. One such effort is the Park Town West Mall which opened In May of 2008. The initiative to build the Park Town West Mall became a reality through an exhaustive effort to keep the community needs at the forefront of negotiations. Many long hours were spent in negotiations and community meetings to ensure the project's success.